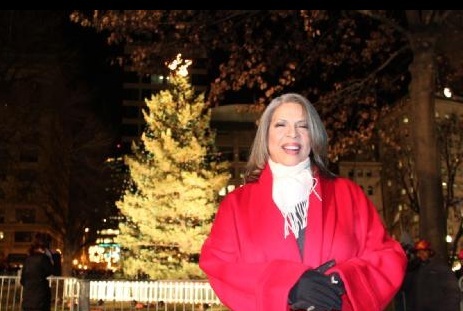 Over My Shoulder co-founder Patti Austin wowed the audience at Boston’s “Holiday Lights,” celebrating the 69th tree lighting ceremony. Ready to celebrate the holiday season, a huge crowd gathered on Boston Common last night. The event featured appearances by the world-famous Radio City Rockettes, “American Idol” contestant Katharine McPhee and the Boston Pops Gospel Choir with Boston Pops Conductor Keith Lockhart. Patti provided a show stopping performance and was thrilled to be able to bring her message of mentoring back to the Boston area.